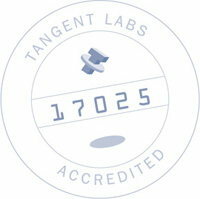 The addition of JBD's outstanding knowledge in force, weights & measures and custom weighing applications allows Tangent Labs to offer an even greater range of value to all of our customers. Under one roof, we are your solution provider for sales, service, A2LA accredited calibrations and program management in the areas of Mechanical, Dimensional, Electrical and a wide range of miscellaneous gauges. We look forward to serving your needs as a new or existing customer.